We’d be pulling wool over our eyes if we didn’t face the fact that there are going to be plenty of tough conversations this winter between farmers and bankers. 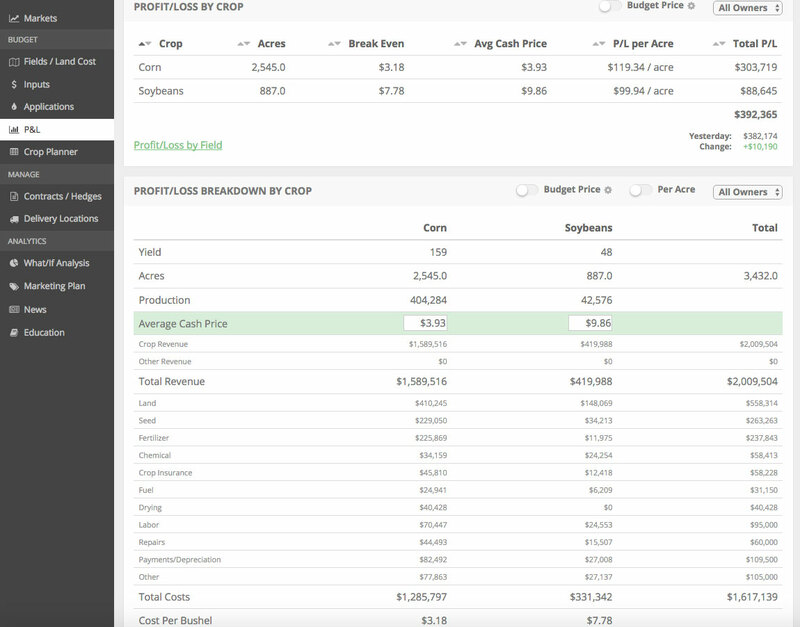 Our goal at Harvest Profit is to provide you with real-world actionable advice (not just fancy maps). That includes advice surrounding topics no one likes to talk about, such as foreclosure or bankruptcy. And software tools to help you so you don’t find yourself in these type of situations. Given the current farm economy, I sought out an expert in farm-bank negotiations. I found one in J.T. Korkow from Northwest Financial Consulting. He’s operated as a consultant or mediator in dozens of cases where banks have decided to foreclose on ag producers. See below for an interview we conducted recently with J.T. (contact information listed at the bottom of this email). I want to note that I do disagree with some of J.T.‘s commentary. I know many bankers who are looking out for the interest of their customers in the vast majority of situations. J.T. has obviously worked through some difficult situations so his skeptical nature is understandable. We thank him for openly sharing his experience and knowledge with us. Nick: What is typically the first document a farmer will receive from a bank when it’s initiating a foreclosure? Acceleration notice or Demand Letter, if the default is not cured, the account is accelerated and demand for full payment of the indebtedness is required….borrowers are usually provided another 30 days to bring in full payment. In states that require mediation, the notice of mediation is sent to the borrowers and if the borrower does not waive the mediation, this mediation must be scheduled and take place prior to the bank being able to initiate foreclosure. Nick: What are your suggested next steps after they receive this initial communication from the bank? J.T. : If they receive the default letter and know they cannot cure the default, they should meet with their loan officer immediately to request servicing of the loan, ie, restructure, reamortization, or extension of payment. If it is obvious the action the lender chooses to take is only a temporary fix, and there is no commitment on their part to continue with you in the future. that is a red flag. If they just advise you to bring in all your proceeds or sell your income producing assets, ie, calf crop or grain crops to cure the default, and they tell you they will review again…..beware. This is not a fix, this is a collection effort. If Lenders review the financial status of a borrower in the fall when calves are sold and grain is in the bin, they already have a good idea whether they will continue with you next year. If it is apparent you are going to be short of paying all your obligations, and there seems to be any reluctance by your loan officer to commit to future advances….DO NOT bring in your production proceeds and hand over to the bank until you have had a review of your financials by either a consultant or an accountant. On a further note, an accountant can provide you with a reading of your financial ratios, but is not versed in bank policies or lending criteria. The Borrower needs to be informed! Nick: When do you suggest initiating Chapter 12 vs. conducting out-of-court negotiating with the bank? J.T. : Obviously, negotiating with the lender first would be the desirable thing to do and much less expensive. Utilizing a third party advocate such as myself, or in the case of broken down communications, requesting mediation with a financially experienced mediator is a tremendous help in negotiations. I would not advise using an attorney for these negotiations if at all possible. The reason for this is that it will immediately provoke the lender into bringing in their legal counsel at that point, and as a rule, attorney’s are not interested in working things out, but to fight for the benefit of their client. This results in an adversarial situation from the beginning and usually ends any possible amicable result. And as a side-note, there are many mediators out there that do not have a clue regarding financial cases, and therefore, provide little help. There are some retired bankers that are willing to assist, but that supply is limited. Bankruptcy is not cheap. Chapter 12 bankruptcy is for farmers/ranchers with total indebtedness of less than $4.1MM. The judge has full discretion for confirmation of a reorganization plan, and the process is shorter with less hoops. Range of cost to the borrower with less than 3 secured creditors runs from $15K to $25K for their legal counsel and up to $5K for someone like myself whom assists in writing the plan and provide expert testimony in hearings. Much of this cost is required up front in the form of retainers before counsel will commence any action. If total indebtedness exceeds $4.1MM, then it is filed under the Chapter 11 guidelines, which is a whole different ball game in which the creditors are put into classes for the purpose of each class having a vote. A unanimous vote is required from all voting classes in order for the plan to be confirmed. Thus, much more negotiating is required to get that “yes” vote from the various classes of creditors. Consequently, the cost of legal fees going through a Chapt 11 can range from $50k to well over $100K and my charges can run from $10K to $20K. Nick: What are best practices you’ve seen farmers utilize to keep them out of financial stress? J.T. : Be proactive. Know how to read and understand your financial statements, and ask your lender what ratios are acceptable to remain a standard risk customer in their bank. Most lenders want a Current ratio of 1.5:1, a debt to asset ratio of less than 30%, and a cash flow margin of greater than 110%. If you are outside these parameters, you are considered a greater credit risk that will require mitigating factors. For instance, if your debt to asset ratio is greater than 50%, a government guarantee on the loan may be considered to mitigate any potential loss to the creditor should things go south. And if you are not sure how to properly prepare and read a financial statement, sitting down with your accountant or a financial consultant to review prior to selling your production would be of great benefit, providing priceless information that may not only save tax consequences, but give you a heads up on potential problems with your creditors before they arise. Nick: Can you make us aware of any landmines for farmers to be aware of when utilizing vendor or specialty financing? J.T. : Yes. DO NOT PAY A LOAN BROKER ANY FEE UP FRONT, AND DO NOT GIVE A VENDOR A MORTGAGE ON YOUR FARM!! During a time when bankers are advising their customers to look for another bank, farmers need to beware of various financing companies out there that are nothing more than mortgage brokers. These guys tell you they can get you great rates and terms through various funding sources, but really don’t represent anyone in particular or have any funds to loan themselves. I have run into many desperate folks who have paid as much as a $6500 fee up front to refinance their debts only to find their fee went into the pockets of these so-called lenders, and no loan ever materialized. There are other funding sources out there, however the legitimate ones collect their origination fees at closing, should a loan materialize. Vendors such as Cargill, CHS, Wheatgrowers, and such, have over past years began to provide credit for most farm inputs as well as sell their product as a retail vendor. Though this double-dipping has proven to be quite profitable for these companies over the years, their lending departments have boldly required some of the larger accounts to sign mortgages on the farms to secure these debts. When markets down-turned resulting in many of these lines not being paid to zero by year end, these vendors began foreclosing on the farms. Please, folks, don’t secure an operating line with a long term asset unless you plan to lose it in one year. Just say “no”! And if you already have. don’t let them have the farm…..file bankruptcy, and we will term that debt out 20 years or more. Nick: Have you seen any other recent stipulations/clauses of credit or loan agreements that have caused unexpected hurdles during a restructuring? J.T. : Forbearance agreements granting time to complete the production cycle without interference, but without an exit strategy or commitment to the farmer. These are generally one-sided agreements in favor of the lender, and should be reviewed by a professional before signing. I have seen none that offer any concession, commitment, or plan for continuing by the bank and usually prolong the inevitable denial of further credit. These agreements usually expire once all the production income is remitted and the farmer needs to renew a new credit line for next year. Supervisory control of advances whereby the lender requires that each and every operating advance has to be negotiated and approved by the lender out of the operating line. As someone once told me: “I even have to get approval to buy a roll of toilet paper from the banker”. This is a prime example of lender control and a potential liability claim. Only FSA supervised credit programs that provide subsidized interest to first-time borrowers are given the legal right to control a borrower to this extent. And yet, I still run into lenders out there that try to exercise control over their borrowers to this extent. Commercial lenders do not have that right or authority and cross the line of legal liability when they exercise control over their borrower to this degree. Farmers should not sign any loan agreements that have any such language that would give their lender that kind of control. Nick: Any other advice for those faced with a lack of liquidity? J.T. : Only that I know how difficult it is to not have cash available to take advantage of opportunities when they arise of cover the bills when they come due. Cash is King! and a lack of liquidity makes you a slave to the banker. You must regain liquidity through restructuring and terming out debt, or selling off non-income producing assets and applying on debt. Without liquidity, you are hamstrung and it will plague your operation to the point you will be bankrupt. If your banker does not assist you in regaining liquidity, call me. Nick: Feel free to add any additional advice/thoughts that you think would be beneficial for farmers. J.T. : Don’t procrastinate. If you sense a problem may exist in your financial condition, get a professional review of your financial condition as soon as possible. Note: An intern on our team, Alex Wegner, did a great job contributing to this blog post. Thank you Alex.